Tanya has been teaching for 20 years as an herbalist, nutritionalist, gardener, permaculturalist, and ethnobotanist. 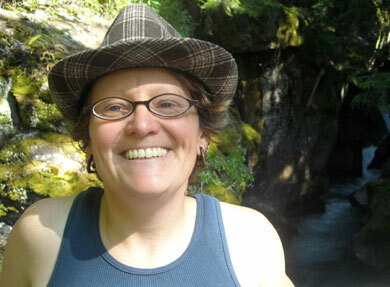 She received her herbalism certificate in 1994 from The Oregon School of Herbal Medicine, ran a tincture and lotion-making company called Pixie Plants and has since been teaching herbal and foraging classes in Oregon and the Bay Area. Tanya is a multi-generational Oregonian, growing up in northeastern Oregon on a small family farm, raising rabbits and sheep, and helping her family with the cherry orchard and farm. You can finding her teaching classes on botany, seaweed harvesting, foraging, and homesteading through both the Ohlone Center for Herbal Studies and the Institute of Urban Homesteading. She works as a Garden Teacher at the Edible Schoolyard on the Martin Luther King Jr. Middle School campus and lives at an Intentional Community house called Brigid Collective in West Berkeley.